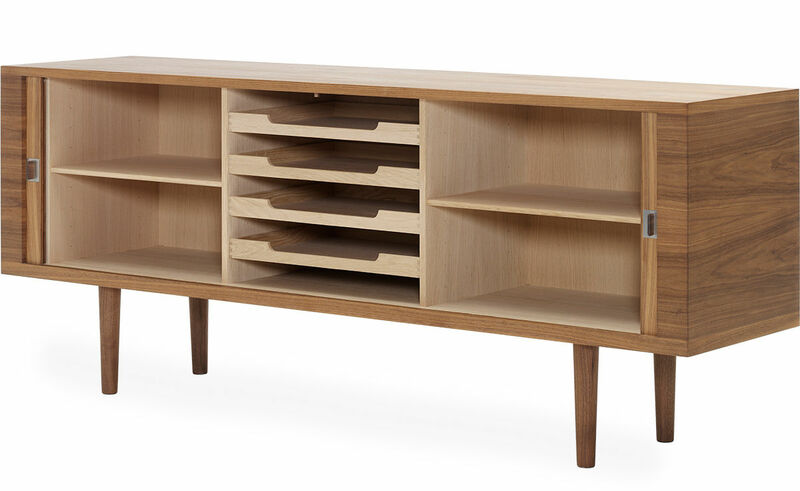 Hans Wegner's Credenza from 1958 is based on his original drawings and was originally one of a series of three credenzas. 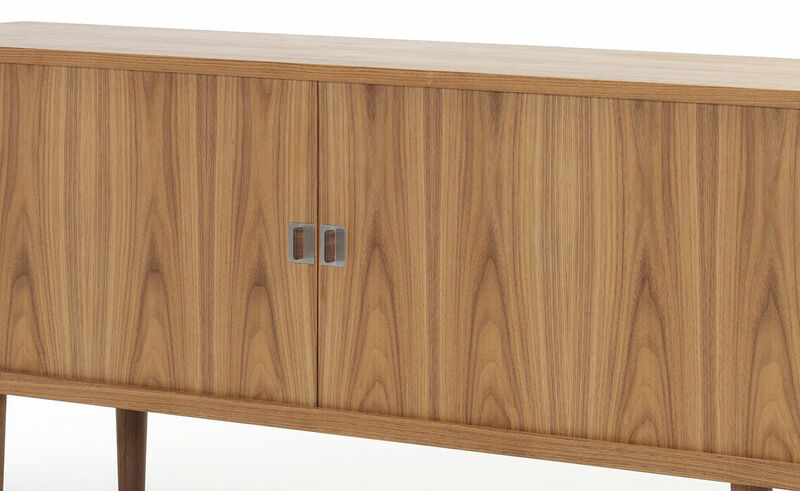 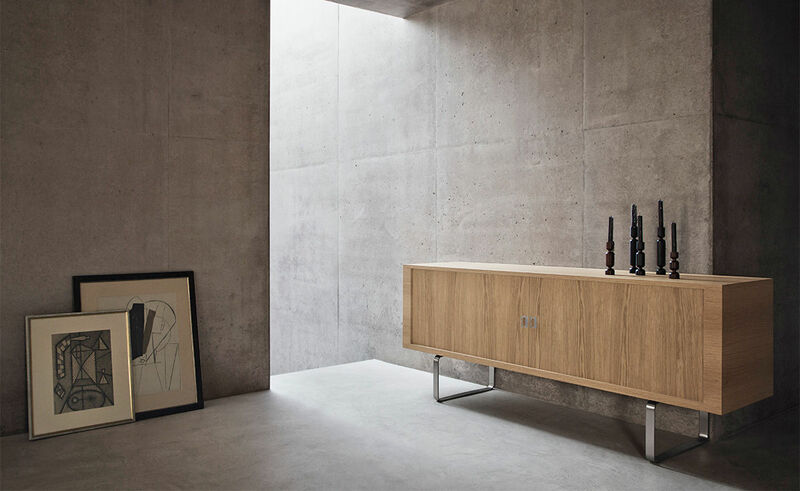 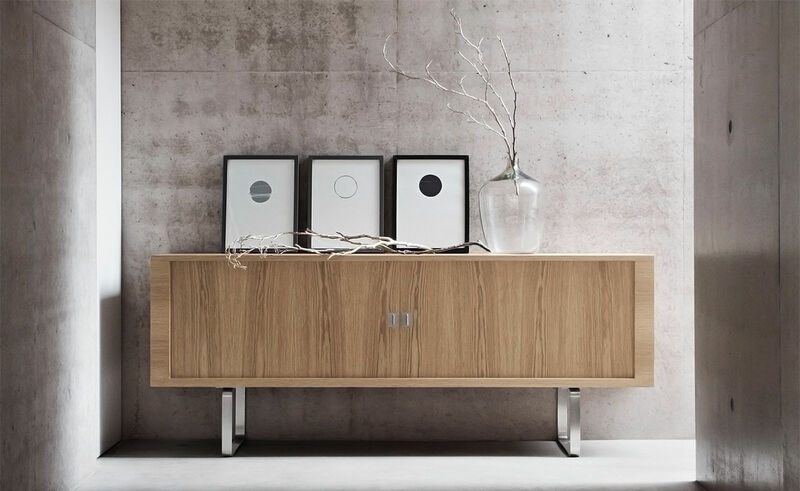 Although it looks simple, the credenza features an advanced design with roller shutter doors (tambour), requiring double sides and rear panel, between which the roller shutters run on a track and disappear when opened. 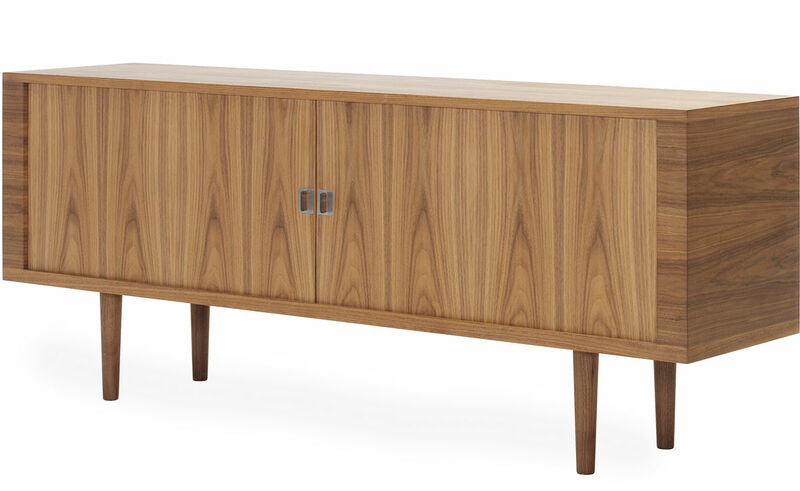 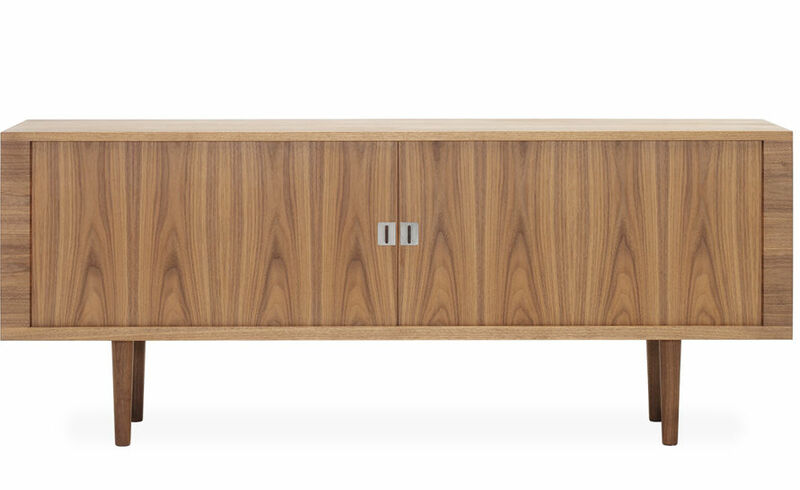 The credenza, originally made of rosewood and teak, has today been replaced with walnut and oak. 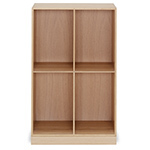 Its interior shelves and pull-out drawers are solid oak. 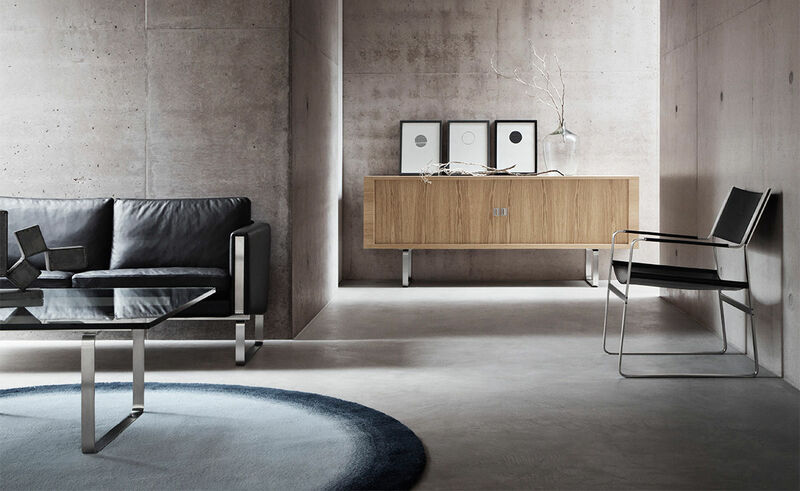 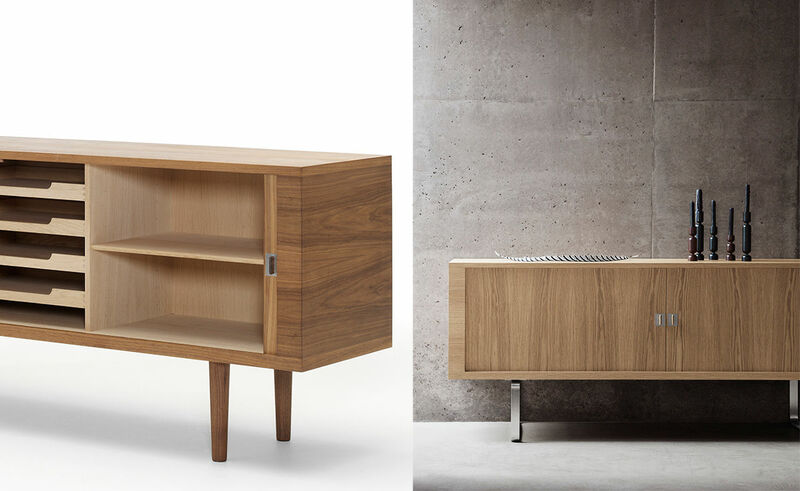 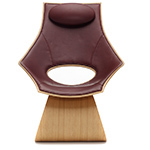 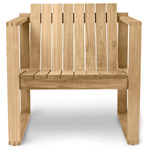 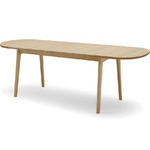 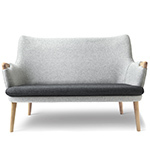 The legs are either round solid oak, walnut or stainless steel loops, which are also used in Wegner's CH100 series. 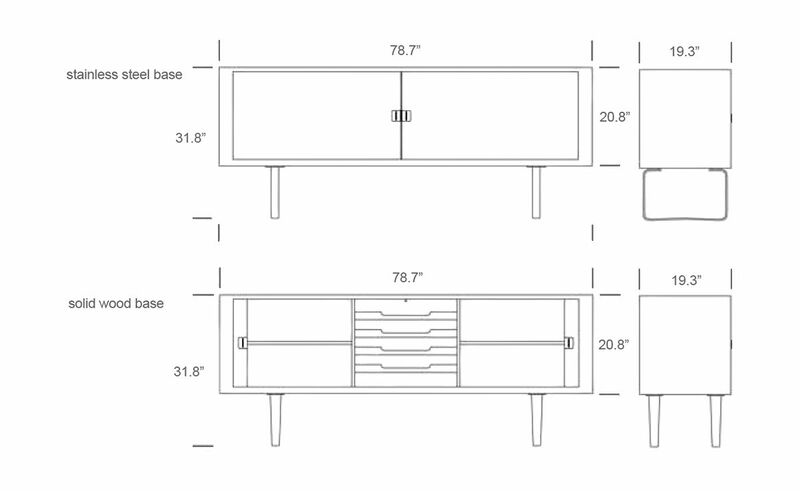 The interior features adjustable shelves and pull-out drawers. 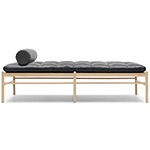 $10,580.00 + free shipping in the continental U.S.